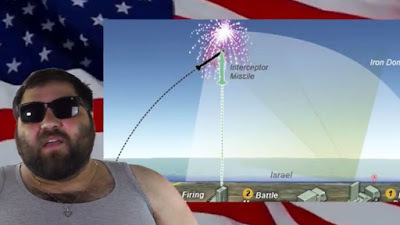 Sami the Israeli (Comedian Danny Lobell) is back, wishing all his American friends a happy Fourth of July (today). In this satiric video, Sami takes aim at traditional Fourth of July elements and claims them to be scams. Particular targets of his Israeli caricature are fireworks, hot dogs, independence, taxes, and the price of coffee. Wishing all our readers a happy Fourth of July - Independence Day. What a funny guy. So nice to have a good laugh. Happy day to all.